Shep wrote that major changes in the history of medicine happen as a consequence of discoveries made on the battlefield and social movements that essentially change how health care is delivered. This Foundation is committed to influencing the culture by supporting the training of clinicians in palliative medicine and by educating the general public about the support that palliative care brings to curative medicine. These two forces: trained practitioners and an informed community, working in tandem, will change and humanize how major diseases are treated in this country. In the Spring of this year we had our first educational program for the general public. Encouraged by the response we are planning another event for November 18th, in hopes of reaching an even larger audience. Your financial support of the Foundation will help us broaden our outreach as well as increase our ability to support the training program at Yale New Haven Health. More clinicians delivering palliative care, coupled with a greater demand from the public, can affect a sea change in our country. 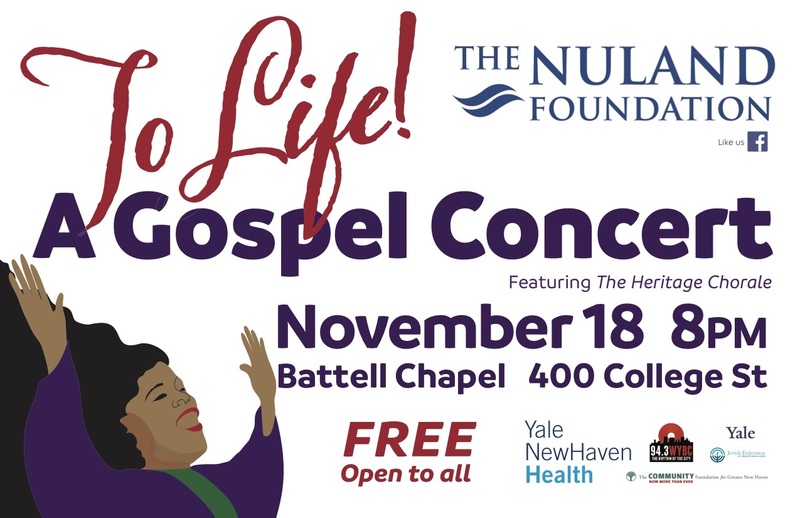 Join us for a celebration of life through song and through inspiration. The Heritage Chorale of New Haven and musicians, under the direction of Jonathan Berryman, will be an essential part of the program. Those of you who saw Long Wharf Theatre’s production of Langston Hughes’ Black Nativity will remember the voices of Erik Brown, Regina Edwards and Kenyon Adams. Praise and worship will begin the program at 8 PM and then the story will unfold. 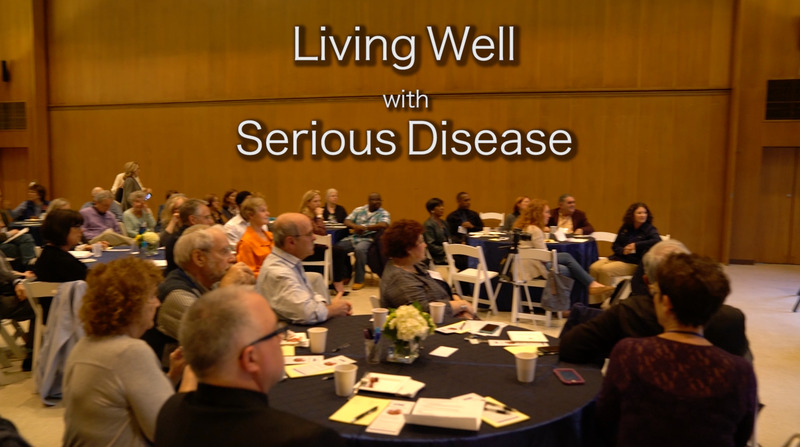 The story being how palliative medicine is an integral part of living well with serious disease once the diagnosis is made. Living well, not only for the patient but for the entire family. The evening will be hosted by Carroll E. Brown. This program is free and open to the public and we welcome you to attend! Watch the video below to see highlights from the May 2017 community education program. In this video clip, Jennifer Kapo, MD, Chief of the Palliative Care Service at Yale New Haven Health, answers important questions about palliative care and how this discipline of medicine can help patients and their families. We thank the Jewish Federation of Greater New Haven and Yale New Haven Health for their partnership in bringing this program to the community. We are a non-profit organization that raises charitable funds to support the training of palliative care practitioners and to increase awareness of palliative medicine. We believe that upon diagnosis of a serious disease, the patient has the right to receive the support of palliative care. Today, only 1 in 1,200 persons living with serious disease has access to palliative medicine. YOUR DONATION WILL HELP TO TRAIN MORE PALLIATIVE CARE PRACTITIONERS AND INCREASE AWARENESS OF PALLIATIVE MEDICINE.